The slip form paving technology is one of the advanced forms of technology that is used for the purpose of paving construction works. The construction materials (PCC) are continuously prepared and poured over the paving surface and the leveling is done simultaneously. The pulling is done constantly to help in the consolidation process. The Slipform Pavers are the machines that are used for this type of topping. There are several advantages achieved by availing this form of paving. Take a look at the major benefits of selecting this type of surfacing. Best Precision is available: When this machinery is used, the precision levels of the surfacing are very high. The conventional forms of topping cannot be error-free. There may be defects such as undulations. The defects can be minimized the most if this form of surfacing technology is adopted. 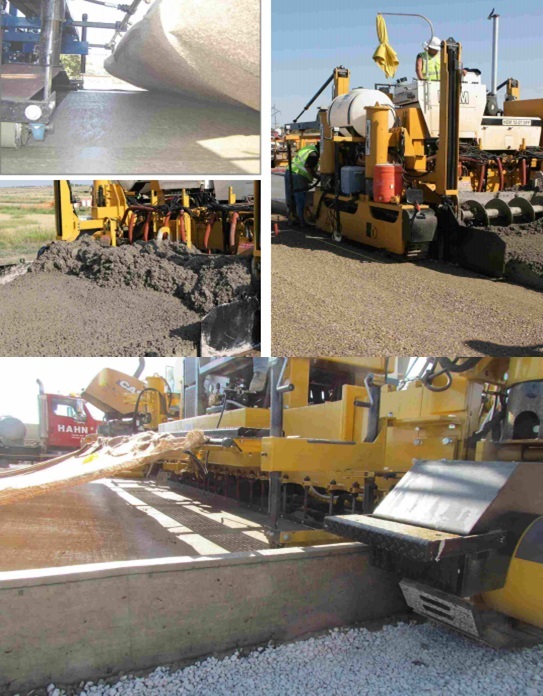 The Slipform Pavers are used for the surfacing of the best quality roads. Low Slump PCC is used: This type of technology always makes use of low slump PCC. This means that the water content in the PCC mixture is the minimum. The concrete settles down faster than the traditional form of surfacing. The strength of these paving is found to be more. The roads which need to be built very fast always use this technology. Reduction in Labor Costs: The entire operations are mechanized. The use of manual labor is nearly done away with. This eliminates the high labor costs that are involved in the traditional form of paving. The job is entirely carried out by the machines. Only a single machine can carry out the jobs of many labors at a time. Chances of chaos due to excessive labor are also curtailed. Best for Large area of Paving: Many a time, a large stretch of area needs to be paved or metaled. These machines are the most suitable to use during this period. The conventional method of topping would take longer for the job. There is also an uniformity in the paving process. This is possible only because the entire operation is mechanized. Manual jobs are not involved. It is a Faster Process: The entire process can be done faster than the traditional surfacing. When roads and pavements are to be constructed, this technology helps in opening up these places for public use at the earliest. You cannot afford to keep these places unusable for long. Otherwise, a huge amount of inconvenience is caused to the common people. The consolidation of the laid materials also takes place faster. If a double layering needs to be done, this is the best option that should be exercised. It Creates Better Looks: If you want the topping to look good free from defects, this is the method that you must adopt. No other type of surfacing can give a neater appearance. The major roads should always be paved in this manner. These are the main advantages of implementing this type of surfacing. It may be expensive but is always the best form of paving. Initially, the concrete is been deposited in front of the slipform paver or is been fed via a belt conveyor or side feeder. Due to the integrated electric or hydraulic vibrators the homogenous compaction of the concrete is been affected. A concrete slab is been formed with the help of inset by specified thickness and width while the slipform paver advances. Additionally, dowel bar inserter can be integrated parallel to the paver’s direction of travel. Traverse to the concrete pavement, central or side tie bars can be inserted. With the help of oscillating beam surface is leveled off traverse to the paver’s direction. A high quality concrete surface can be achieved with the grinding movement that produces a small concrete roll in the front of the beam. There are various factors responsible to achieve smoothness with slipform paver. Mixing design and weather conditions affect the quality of the pavement. Different weather conditions are to be considered like low humidity, high winds, high heat etc. If the mix prepared dries out it will lose its workability and it will be difficult to improve the pavement. Hence it is important to have a consistent head of the material in the machine. The capabilities and advancements of the slipform paver must be at matching levels. This entry was posted in Slip Form Pavers, Slip Form Paving, SlipForm Pavers by Mitul Patel. Bookmark the permalink.